Making a quick assent to popularity after capturing the spotlight as Triple J’s Unearthed Artist of 2014, recent years have seen this young singer/songwriter reach No.2 on her home country’s premier ARIA Charts with debut album “Low Blows”, open for neo-soul icon D’Angelo, and book a series of festival appearances ranging from Governor’s Ball to SXSW. In other words, Meg has worked hard to establish what has now become a global platform for her uptempo tracks and inspiring lyrical works. Delivering songs such as feminist anthem “Give Me My Name Back” (released October 2018), fans have continued to praise Meg for her unapologetic and honest attitude toward what can sometimes appear to be difficult subjects to tackle, a trend Meg is not likely to let up on anytime soon. In fact, 2019 will see the talented Aussie release yet even more empowering music. Set to drop on February 8, “Something Tells Me”, can be described as yet another inspiring single, continuing ongoing themes of perseverance and narrating the tale of determining one’s own future path. And, to help spread her musical messages to new fans across the world, Meg will embark on a headlining tour, stopping in a handful of lucky cities and visiting audiences across Australia, Europe, New Zealand, and the United States. But before all the excitement unfolds, SoundBite Magazine had the pleasure of chatting with Meg about new music, her writing process, the 2019 Give Me My Name Back Tour, and more! I enjoyed listening to your new song, “Something Tells Me”. It seems to reflect the same sense of inner-strength as tracks like “Give Me My Name Back”. Is this something that you were originally aiming for? I usually just go to the piano and sing when I’m struggling. It’s what I’ve always done. Personally, who or what do you think empowers you the most? Singing. Or listening to someone else sing. “Give Me My Name Back” was dubbed a feminist anthem and has been very well received by fans. Was it a surprise at first to have deeply touched such a large amount of people with the song? The day it was released, my DM’s were flooded with messages from people with stories coming from so many different places. Women, survivors, the LGBTQ community, abuse, bullying, suicide, I was overwhelmed that so many people were opening up to me. I had never experienced such strong emotional responses. I heard you started writing music as a teenager. What do you think 17 or 18-year-old Meg would think about the direction your music has taken? I’d love to go back to that time and just spend my days singing on the piano, no plans, no pressure, free to just sing. If I could get that back I would. Maybe I’m sad I don’t have that anymore. Going back in time a little bit, your 2017 debut album, Low Blows, was extremely successful, reaching number 2 on the ARIA Charts. Do you think this past success has influenced your current works or writing process in any way? My songwriting is always changing. Making the album in the Niles City studio in Fort Worth was so inspiring…Leon Bridges would pop in every other day to see the guys. And then, working at Electric Lady in New York was a neat experience. These places definitely had an impact on my music. You’ve recorded songs in places like Texas, far from your home country of Australia. Do you have a favorite spot to write music? Nothing can ever beat late at night, by myself at the piano. The “Give Me My Name Back Tour” is just around the corner and you’ll be traveling throughout the U.S., Canada, Europe, Australia, and New Zealand! Is there anywhere you’re most excited about playing? When I toured with D’Angelo and Clean Bandit, I saw lots of America. But there’s a few places I’ve never played in like San Francisco, Berlin and Paris. Do you like to explore all the “touristy” spots when you’re traveling? I wish there was time for that! For the new fans, could you give a little background on your upcoming second album? Release date, themes, etc. It’s called HOPE and it’ll be coming out in the next few months. Last question! What are you the most excited for so far in 2019? 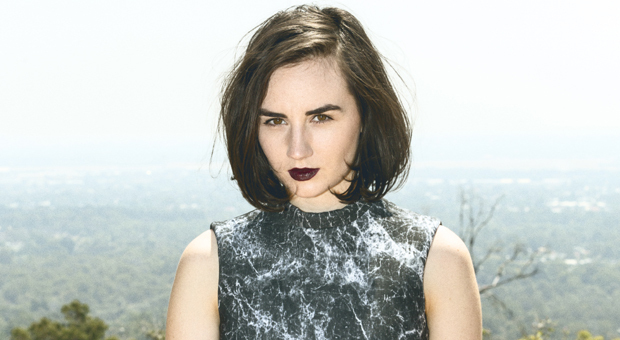 Meg Mac will be at the Bootleg Theater in Los Angeles, California on February 27. Make sure to get in on the fun and grab your tickets here!